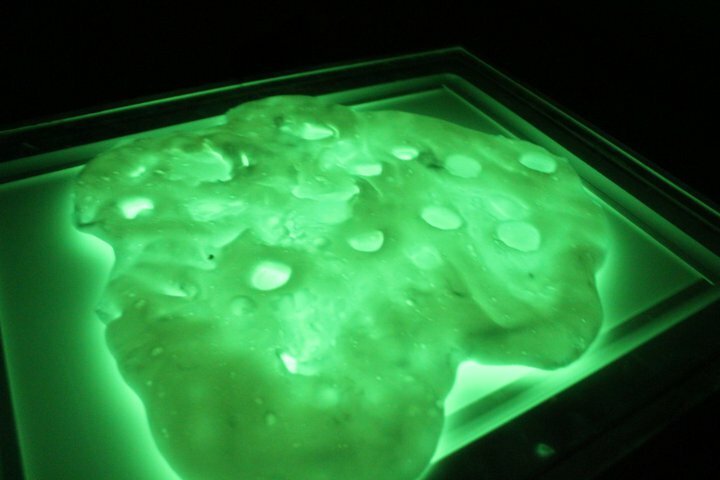 grandma's cookie jar: Glow-in the-Dark Silly Putty - Make Your Own! If you have grandchildren who will be at your house this weekend, surprise them with the opportunity to make something fun, unexpected and cool . . . glow-in-the-dark silly putty! I found a link on Pinterest - but it took me to a site with crocheted hats. So I looked on-line and found a site with the recipe! Just follow this link and get ready to surprise and delight your grandchildren! It looks pretty simple - I just need to get a few supplies and will be making this with Josiah - I'm sure he will like it! Enjoy!